South African citizens are concerned about a lack of environmentally friendly resources. However, South Africa is also experiencing a financial recession. With constant power cuts and water shortages, we desperately need alternative options, but can we afford them? While some energy-saving and green products are more costly, it may be cheaper than you realise to run a greener home. Let’s take a look at some options. The first step is to consider your lighting –savings can be made by simply turning off the lights when you leave the room. Is it really necessary to have the whole house lit at one time? Also consider replacing your light bulbs with LED bulbs. This can save you a fortune. LEDs use 75 percent less energy than incandescent light bulbs, and will last about 10 times longer too. The higher cost of LEDs is negated when you consider that you don’t need to buy them as frequently as the incandescent light bulbs. You may be leaving heaters, warmers and even lights on to warm up the house, especially during these cold winter months. Turn them off and rather increase the insulation of the house instead. If you can’t afford to add structural insulation to your walls and ceilings, consider settling for thermal blinds and curtains, and double-glazing windows instead. Insulation does not just keep the warmth in during winter, but will also cool your home in the summer, making it a worthwhile investment. You can save energy by using insulation since it increases the energy efficiency of your home by 20 to 30 percent. Take a closer look at your appliances. Modern appliances are all issued with an energy rating, but you can still work out how much energy an appliance uses from its wattage. Wattage indicates the amount of energy transferred per second, so you want to find appliances that use a lower wattage, or an Energy Efficiency rating of A++. Furthermore, your choice of appliance can make a difference in energy savings. Convection or fan ovens are more energy efficient than standard electrical ovens, but gas ovens or burners save even more by not requiring electricity at all. Gas canisters are also not expensive to refill. Using SMART technology can help you save energy as well. Smart technologies can be incorporated into a number of appliances and gadgets to allow you to regulate its power usage. While this is still fairly new to the South African market, it is expanding quickly and builders are already including this technology in house structures. Energy saving is not all about electricity usage, however. Water is another precious commodity in this country, and reducing water waste goes a long way in sustaining the environment. Water aerators pump air into the water so that you still get the same water pressure without using as much water. This device is small and easy to install, and is especially useful for showers. Bathing instead of showering can reduce the amount of water used in your daily routine, but using a water aerator in the shower can save nearly 9500 litres per year. A circulating water pump is another device that is easy to install. Useful under sinks and basins, this will allow you to have hot water whenever you need, and will save up to 19 litres of water for each use. Reducing your water waste can save energy. A lot of water is lost when using the toilet. Older toilets have cisterns that hold an excessive amount of water, which is all lost every time you flush. If you don’t want to install a toilet with a smaller cistern, placing bricks, bottles or other solid objects in a large cistern can displace the water and allow less to be used with each flush. There are also a range of low-flow or water saving toilets on the market today as well, at very competitive prices. 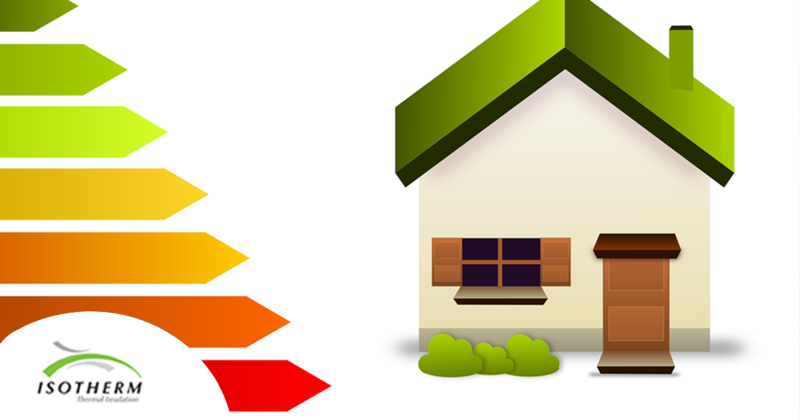 There are a number of other steps to be taken in the pursuit to save energy, but following these guidelines will set you well on the way to a greener home. Remaining vigilant and conscious of what you use every day will help you save in more ways than you realise. Awareness of your energy usage is important, so make sure every member of your household knows where they are wasting and how to reduce it. Start today!